White House Press Secretary Sarah Huckabee Sanders told reporters Wednesday that the U.S. is imposing sanctions against Turkey due to the continued imprisonment of U.S. pastor Andrew Brunson. "At the president’s direction, the Department of Treasury is sanctioning Turkey’s Minister of Justice and Minister of Interior, both of whom played leading roles in the arrest and detention of pastor Brunson," Sanders said. "As a result, any property or interest in property of both ministers within U.S. jurisdiction is blocked and U.S. persons are generally prohibited from engaging in transactions with them." "We’ve seen no evidence that Pastor Brunson has done anything wrong and we believe he is a victim of unfair and unjust detention by the government of Turkey," she emphasized. 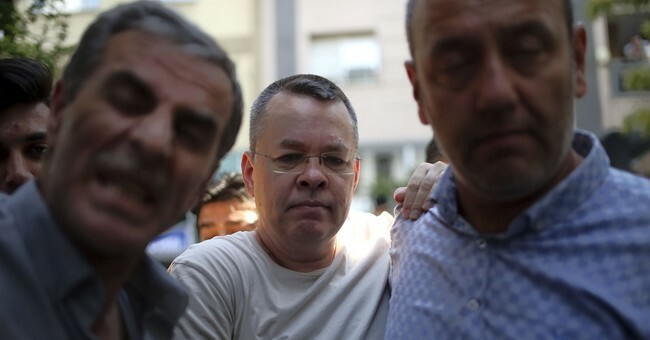 Pastor Brunson, an evangelical from North Carolina, was arrested in Izmir, Turkey in October 2016, and was accused without any evidence of helping terrorist groups and of espionage. Turkish President Recep Erdogan defied calls from President Trump and Vice President Mike Pence to release Brunson earlier this week. They cannot make Turkey back down with sanctions," Erdogan said to Turkish media. "We will not step back." "The US should not forget that unless it changes its attitude, it will lose a strong and sincere partner like Turkey," he added. Brunson was recently moved from Turkish prison to house arrest.